Drinking whiskey is a sort of shared vocabulary. It’s the common denominator between loudmouths and gentlemen, liars and storytellers. Occasionally, some of those whiskey drinkers happen to be Americans of note and renown. 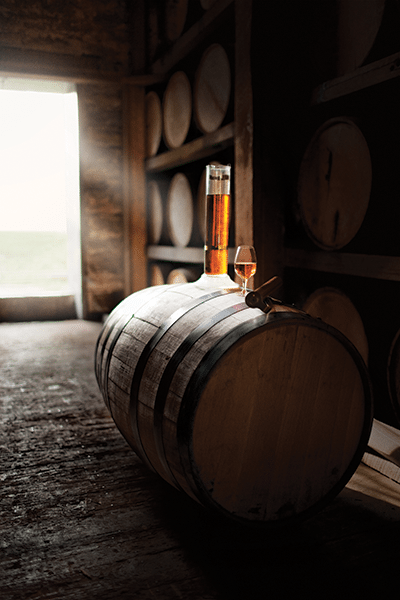 We’d like to stop and take a moment to salute some of our favorite whiskey aficionados from the pages of history. While there are many highly quotable whiskey fans, Mark Twain or Winston Churchill for instance, we’d prefer to highlight some of history’s slightly less recognized whiskey enthusiasts. While we respect the popular picks, Angel’s Envy has always tried to do things a little differently. As a small, independent company, we believe that a classic can always be improved on, which is why we finish our bourbon in port wine barrels. So in the spirit of independence and whiskey, please enjoy our first collection of Great American Whiskey Drinkers. 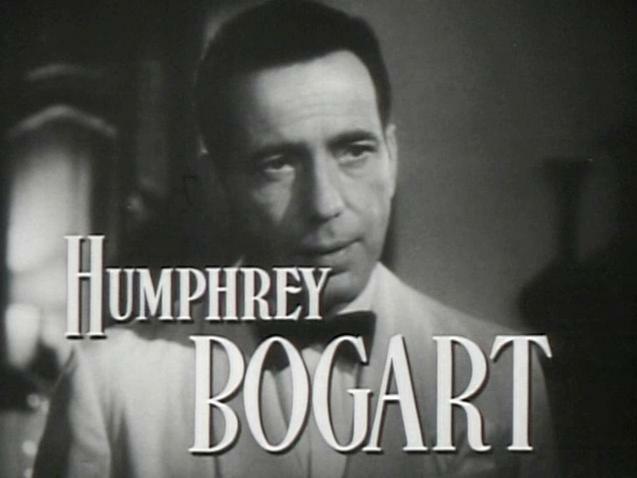 Bogart’s penchant for whiskey had one surprising benefit. While filming The African Queen in Africa, he refused to consume any water, drinking only from a barrel of whiskey he’d brought with him. While we would never condone this kind of consumption, it did spare him from the extreme dysentery that crippled the rest of the cast and crew, including Katharine Hepburn. You can hardly throw a rock at the internet without hitting a whiskey quote from Twain or Faulkner (editor’s note: do NOT attempt to throw a rock at the internet). On the other hand, Raymond Chandler, a highly successful 20th Century writer rarely sees the same level of recognition. With his ‘Phillip Marlowe’ novels, Chandler brought the gritty detective out of the world of pulp magazines and into literary prominence and respectability. He also exemplifies the hope that it’s never too late to realize your real potential. After failing as an oil company executive, he decided to try his hand at writing—at the age of forty-four. 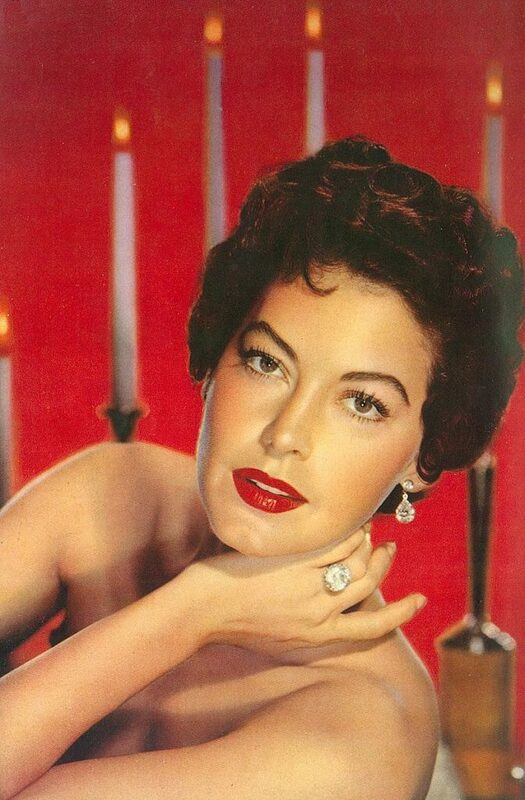 Another legend from the golden age of cinema, Ava Gardner was occasionally a controversial figure but always a gifted actor. She grew up impoverished in North Carolina and found her way to Hollywood through random chance. A studio executive saw a photo of Gardner outside of her brother-in-law’s photography studio in New York, and that was all it took to make a star—well, that, and five years of bit parts and voice coaching. Off camera, she was often known for her wit. She described director John Ford as, “The meanest man on earth. Thoroughly evil. Adored him!” While her marriage (her third) to Frank Sinatra caused many columnists (pre-internet bloggers) to paint her as a man-stealing femme fatale, she never gave a damn about the gossip. Throughout her life, she also maintained close friendships with Howard Hughes and Ernest Hemmingway, two highly unique individuals who could both be famously difficult to get along with. In the male-dominated world that defined the decades following WWII, Gardner did exactly as she pleased, and one of the things that pleased her most was whiskey. Never one to compromise on life’s pleasures, Gardner once famously quipped, “I wish to live to 150 years old, but the day I die, I wish it to be with a cigarette in one and a glass of whiskey in the other.” While she only made it to 67, few people can claim to have lived such a remarkable life. Cheers!